The Q-Gate is an advanced RFID-based logistics system for inventory management in unmanned storage areas. This unmanned storage solution provides 24 hour access to work wear and equipment all year round. The Q-Gate can be placed nearly anywhere on your premises. The unit can be installed as a standalone version with a custom built storage area or in connection with an existing storage area. Multiple Q-Gates in different locations can be connected as a cluster to the same network. This enables the user to access multiple Q-Gates in different storage areas, under the same system. RFID transponders can be attached in different ways which gives flexibility in the content of the storage area behind the Q-Gate. These unique RFID transponders provide real-time inventory and item status. The Q-Gate has a service panel of which only admins and super-users have access. Loading of items back into the storage area can be done via the Q-Gate (this is only recommended for smaller quantities). For loading of larger quantities, we at ACG Pulse recommend a hand scanner or the Q-Cabin. Combine the Q-Gate with our other products! 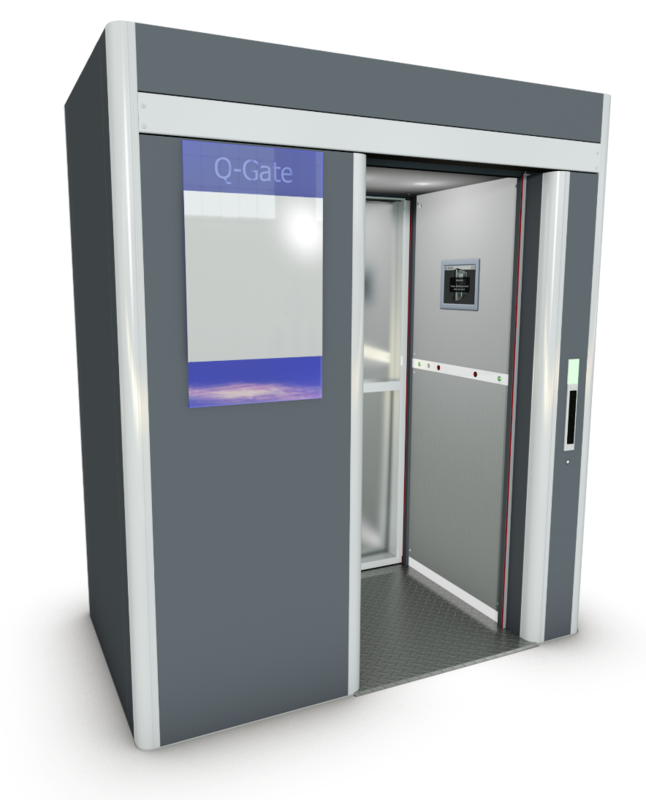 The Q-Gate is an advanced RFID-based logistics system for inventory management in unmanned storage areas. This unmanned storage solution provides 24 hour access to work wear and equipment all year round. One or multiple gates can be used to enter/exit the same storage area, this is advantages in high trafic storage rooms. The Q-Soil is a drop-off unit, primarily for textiles, which can be used to complement the Q-Gate or used as a standalone unit. 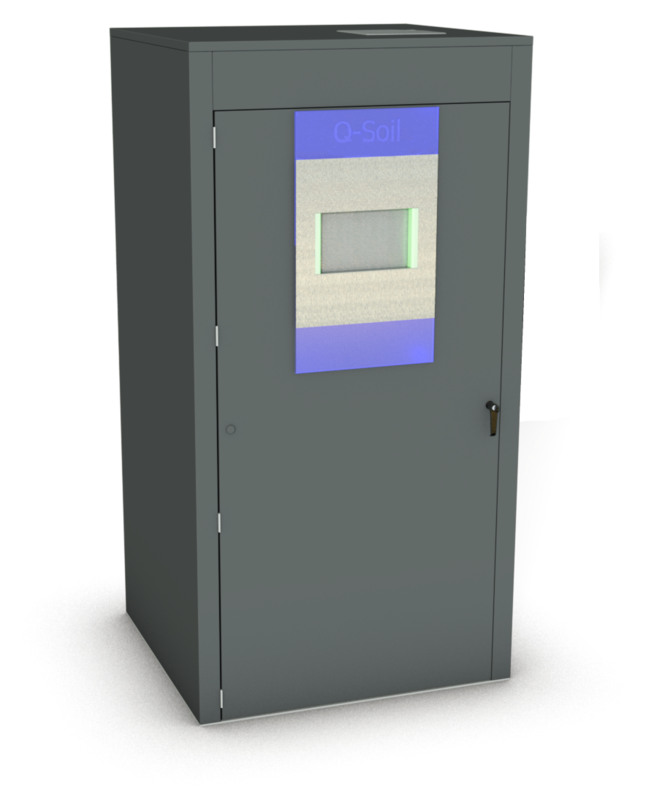 The Q-Soil is an RFID based unit which scans articles as they are dropped through the chute. The scanned articles are then processed and their status is updated through the Q-Web database and interface. 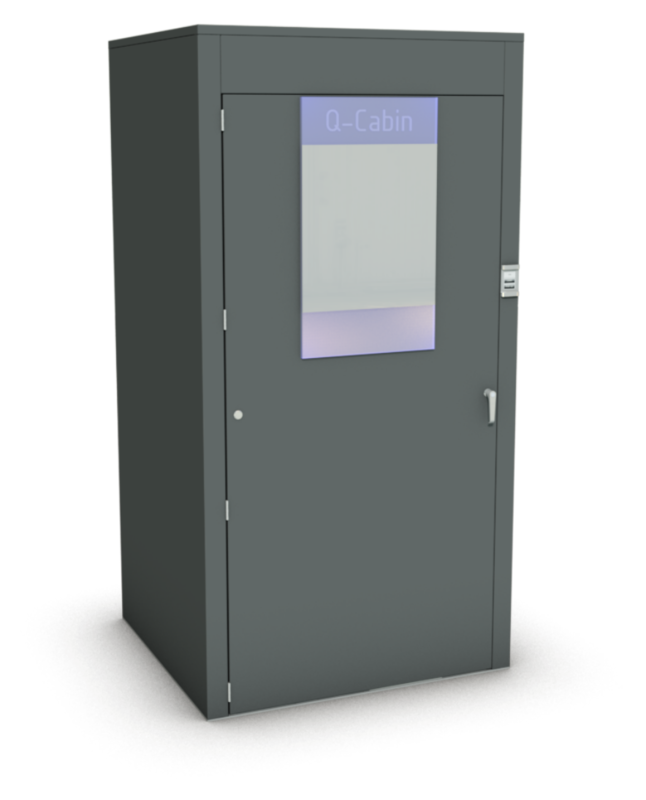 The Q-Cabin is a high performance UHF multi reader, designed for industrial use. Designed with doors on both sides for easy walkthrough. The size of the Cabin is tailored to fit all standard trolleys. High scanning speed and precision which is able to read hundreds of articles. With integrated software, the Cabin can provide data at once.